When travelling I like to stay comfy, but still look stylish. However, in this summer heat this can be quite challenging since you cannot do a lot of layering. So, my solution was to create this outfit that is easily put together and you can look stylish without any real effort. Soludos espadrilles are a must this summer and I just love this striped ones. Pair it with classic 60s inspired bikini in blood red colour to spice things up. 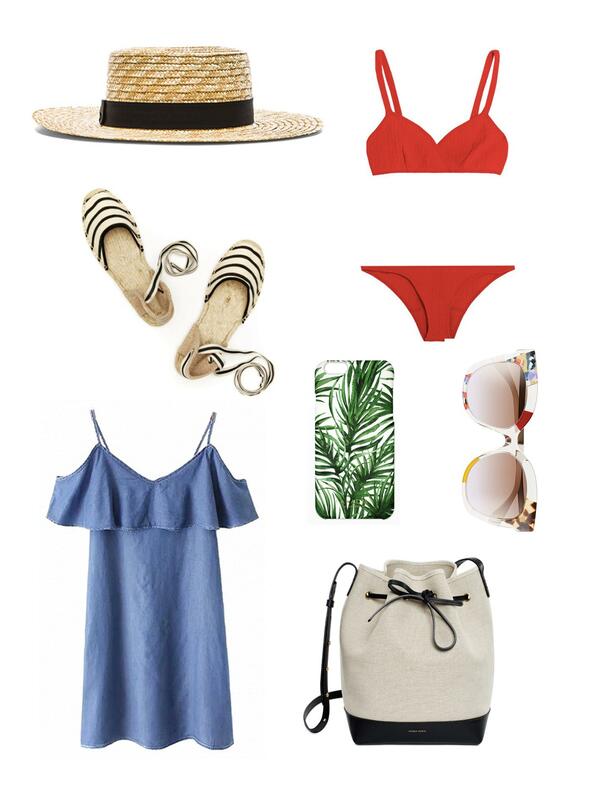 To add a little bit of tropical vibe go with palm phone case. To protect from the sun you cannot go wrong with straw fedora hat and some sunnies with a cool print. Cover it all up with denim dress and add a little bucket bag and your go-to summer look is ready. With this pieces you can easily stay comfy while exploring new places or just going to the beach and still look fab!